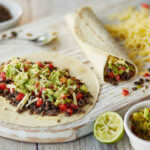 These vegetarian black bean burritos are simple to prepare, filling and they also taste great. Flour tortillas are wrapped around jalapenos, red pepper, onion, coriander, beans and cream cheese to make the most delicious burritos. Serve these tasty treats with salsa dip and homemade guacamole. 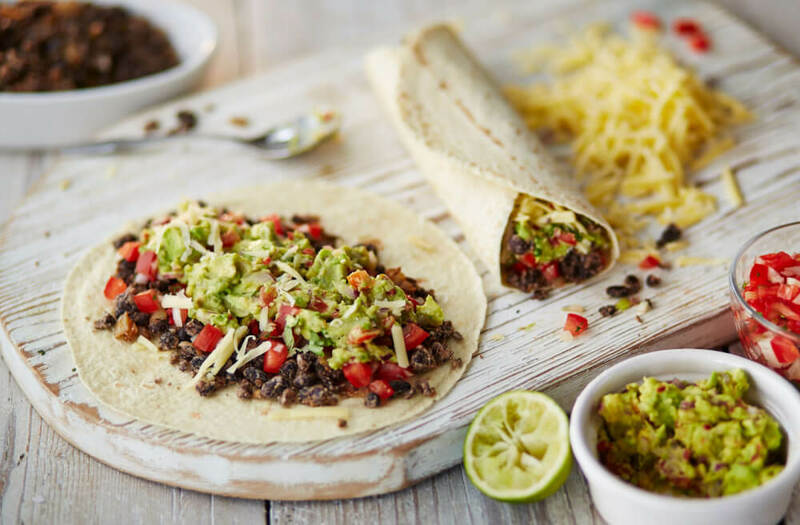 With recipe such as this vegetarian black bean burritos dish, there are plenty of tweaks and substitutions you can make if you don't have some of the ingredients or if you want to make some changes. Other beans work just as well as the black beans, so feel free to substitute with kidney or pinto beans. You might want to add some corn kernels to the mixture for extra sweetness and colour. Corn tortillas would work, or you might want to throw in shredded chicken or pork if you aren't making these vegetarian. Wrap the tortillas in foil. Bake them for 15 minutes to warm them up. Now heat the oil in a big skillet over a moderate heat. Add the onion, garlic, red pepper and jalapenos. Cook for 2 minutes, stirring sometimes. Pour the beans into a pan and cook, stirring, for 3 minutes. Add them to the pan and add the salt. Stir the coriander into the mixture. Divide the mixture down the centre of the warmed tortillas. Roll the vegetarian black bean burritos up and serve warm.